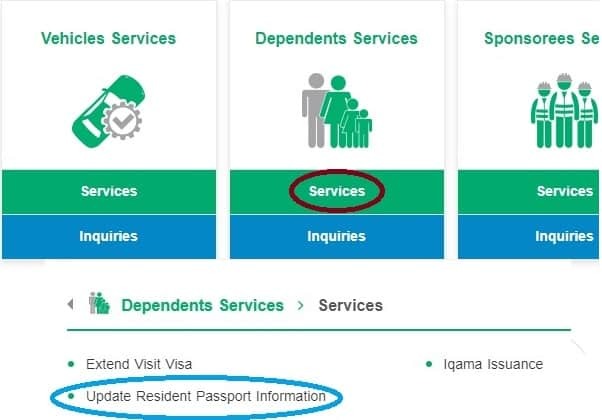 Earlier, The option of naqal maloomat (Updation of passport information) was only available through Jawazat, Now your sponsor can update it, If you are an employee your employer or HR people can update it. If you have dependents you can do it on your own through Abhser website portal. 1. Visit Absher.Sa website and login to your account, verify your mobile. 3. Select the dependent name to whom you want to update passport information, Now select "Update Renewed Passport ". 4. Enter Passport number, Optical Character Recognition, New Passport Issued Date, New Passport Expiry Date, New Passport Issuance Country and New Passport Issuance City. 5. After Confirming all the entries, Click on "Update Passport Information", Thats it. - This option request can be used once in 5 years. - You cannot able to update if Passport Expiry date is greater than 6 months. 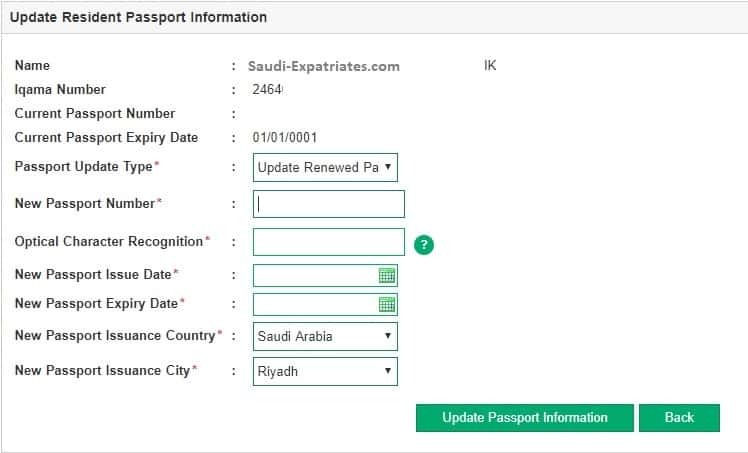 - Passport person should be "Inside Saudi Arabia" while updating passport information. - Passport person must not be in huroob or Absent from work status.